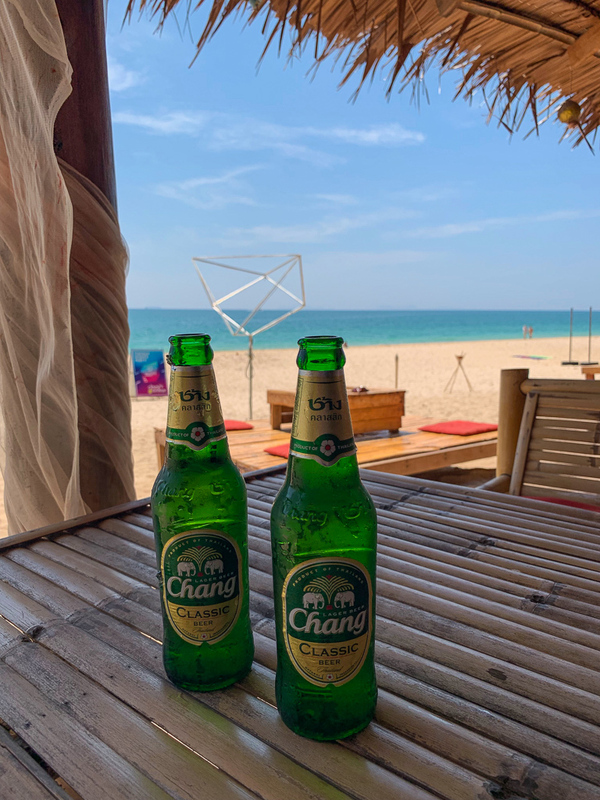 Your Complete Guide to Koh Lanta: Island of a Million Eyes - TA TA, CHEERS! 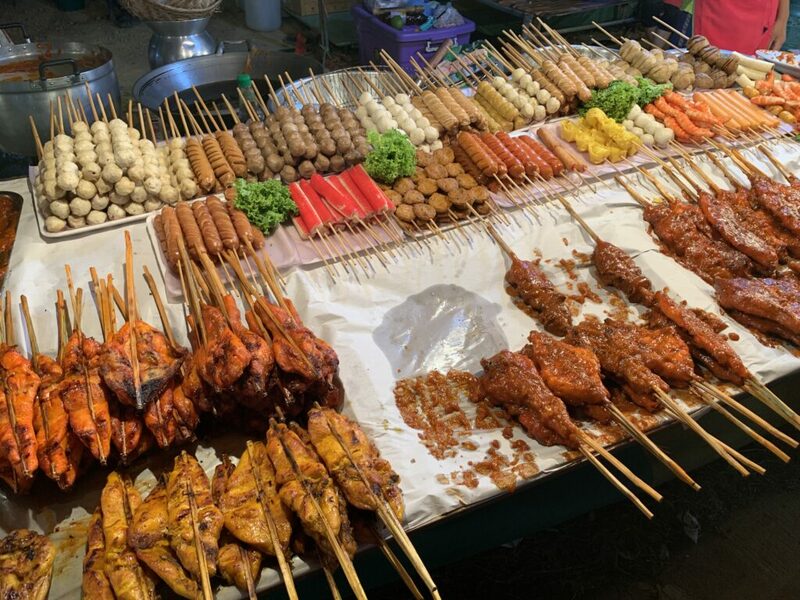 On our epic adventure to Thailand, we tried extremely hard to stick to street food, backstreets, and off-the-beaten path neighbourhoods. But, when you’re in a country that is so different from anywhere you’ve been before, it’s more difficult to think outside the box. 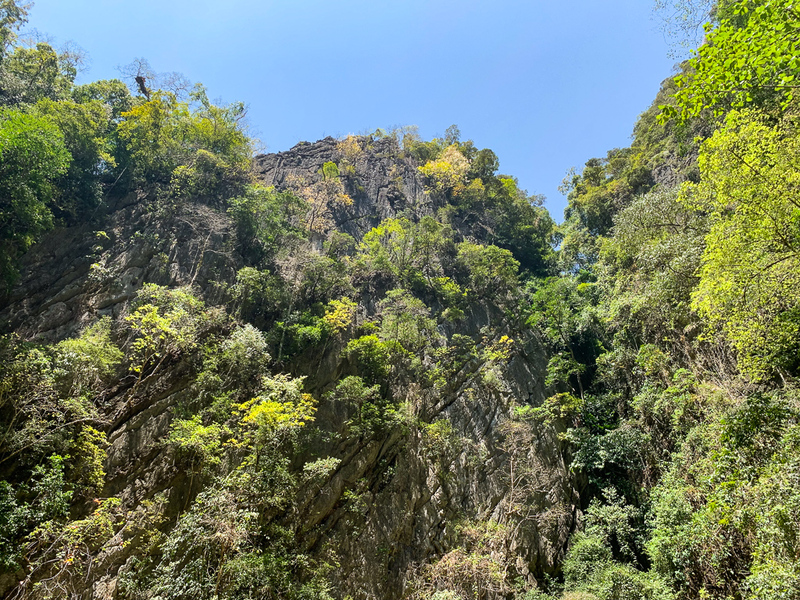 Thailand has a funny way of leading you to the places tourists should be going and scaring you away from the places that you supposedly shouldn’t. Despite this insurmountable force, I think we did pretty well. But, as soon as you start talking about the islands, you have to be the most touristy tourist there ever was. While there are locals, their life is very much hidden away. The restaurants available to us had no locals. That’s the weird thing about the islands: local and tourists are segregated. While this is unsurprising considering the tourism-based economy here, it definitely meant we were already a bit weary of visiting. We’re not resort people. We like food shacks with snacks to die for, places that are a little rough around the edges. 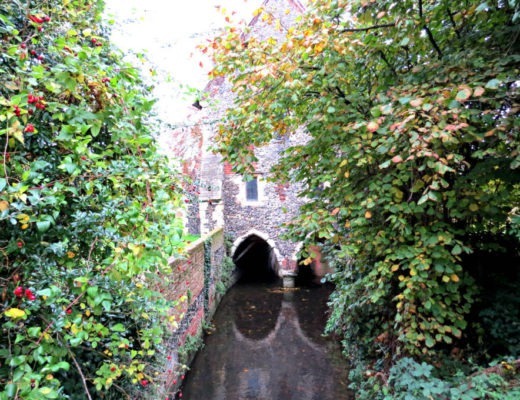 We also like places that have a history and tell a story. Resorts do not have a story — just a photograph in time. 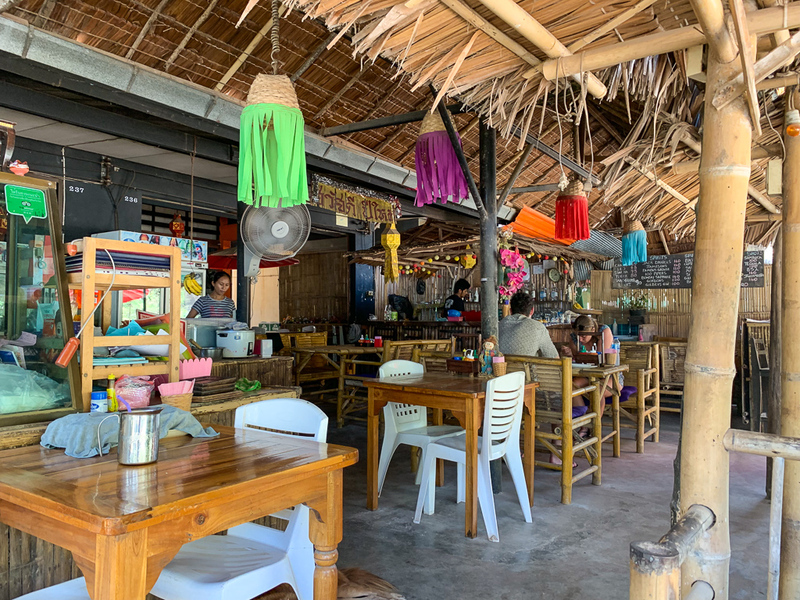 Despite knowing all of this, we committed 5 nights to Koh Lanta, known to be less touristy than other, perhaps more beautiful, islands like Koh Phi Phi and Koh Tao. 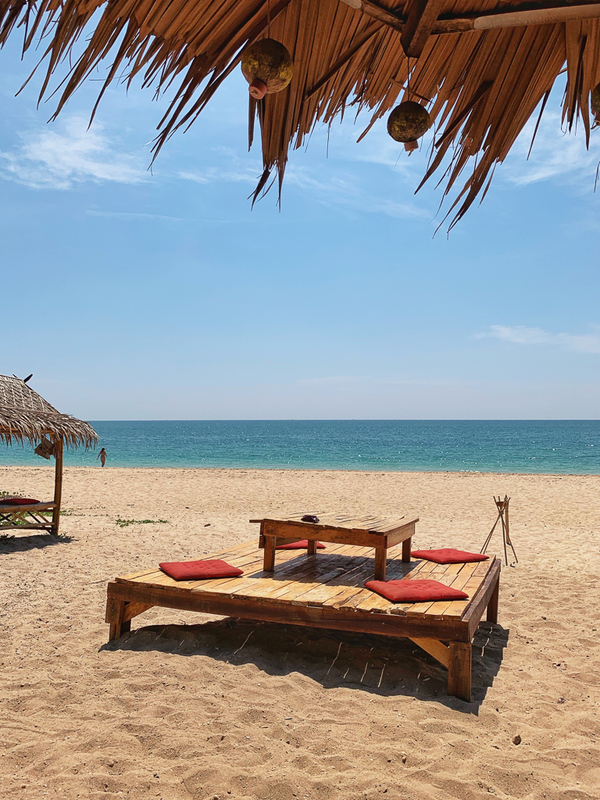 Koh Lanta is known to be the best ‘all-around’ island as it provides a little bit of everything. 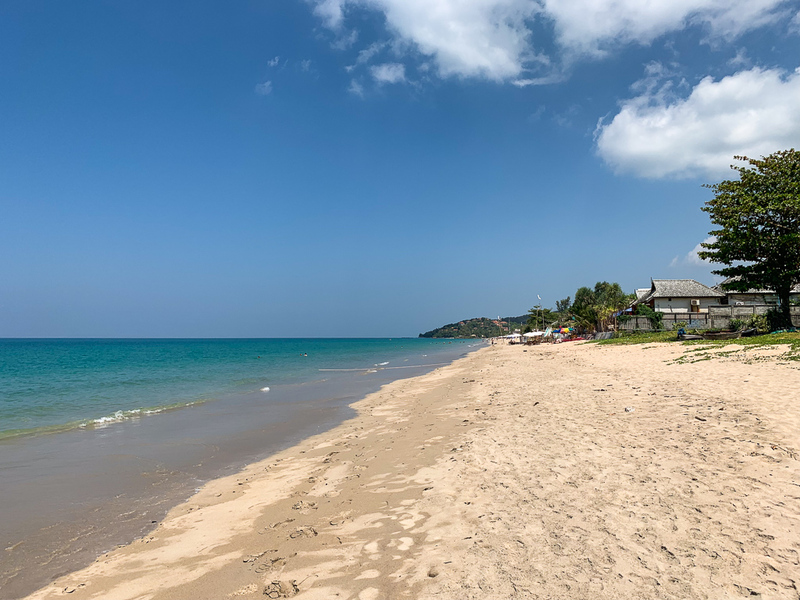 It’s developed enough to sit’s easy to access numerous restaurants, it has plenty of excursions to fill the day, and it is quite easy to find beautiful, deserted beaches. 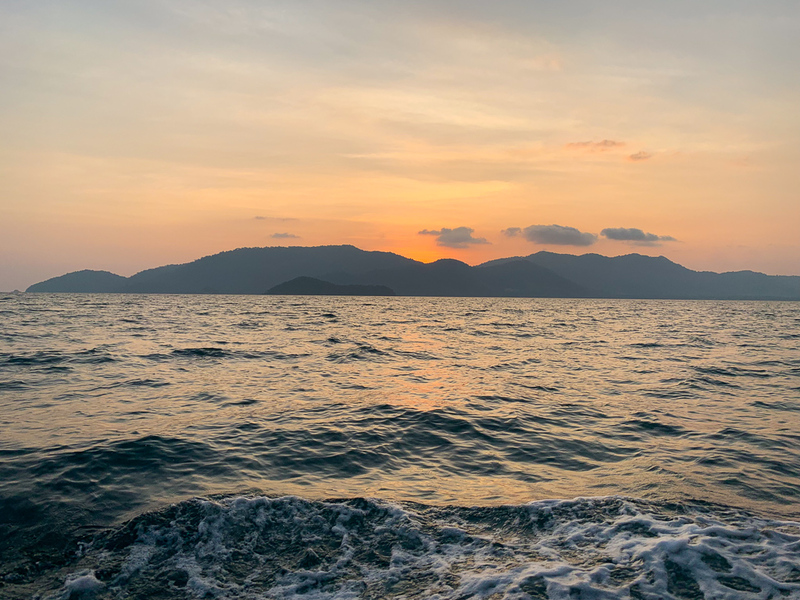 It’s important to note that Koh Lanta actually encompasses 52 islands — the majority of which are uninhabited. The main land mass is split into two: Koh Lanta Yai and Koh Lanta Noi. Below is a breakdown of all my expenses. I’ve made sure the amounts reflect prices based on one person. I’ve provided amounts in both Thai baht and Pound sterling. Let’s see how much it’ll cost you to stay 5 days and 5 nights! One of the more complicated aspects about the islands is transportation. How does one get to Koh Lanta? The easiest and most common way is to to fly to Phuket. From there, it’s a 1-hour taxi ride to the pier. Getting a taxi/transfer at Phuket airport is very easy as it is regulated. It’s 150 baht per person if you go in a shared van. 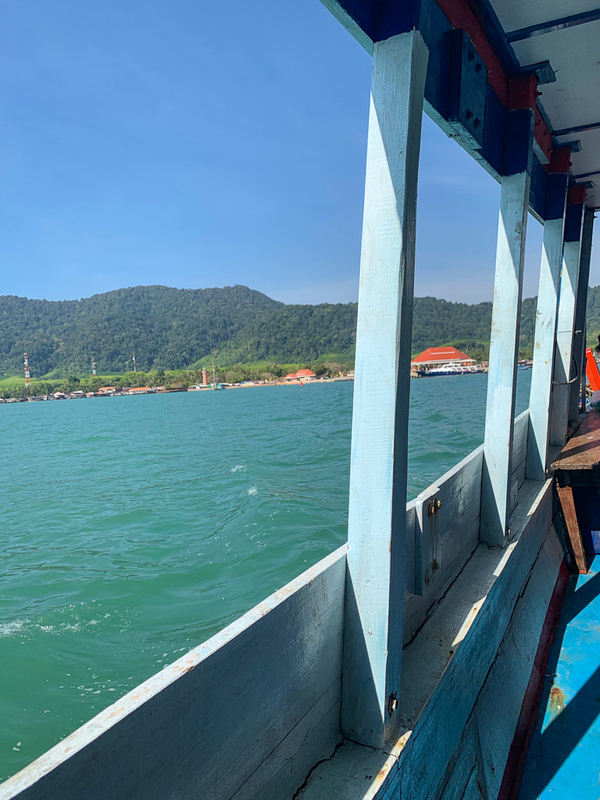 To get to Koh Lanta, there are a couple ferry options. 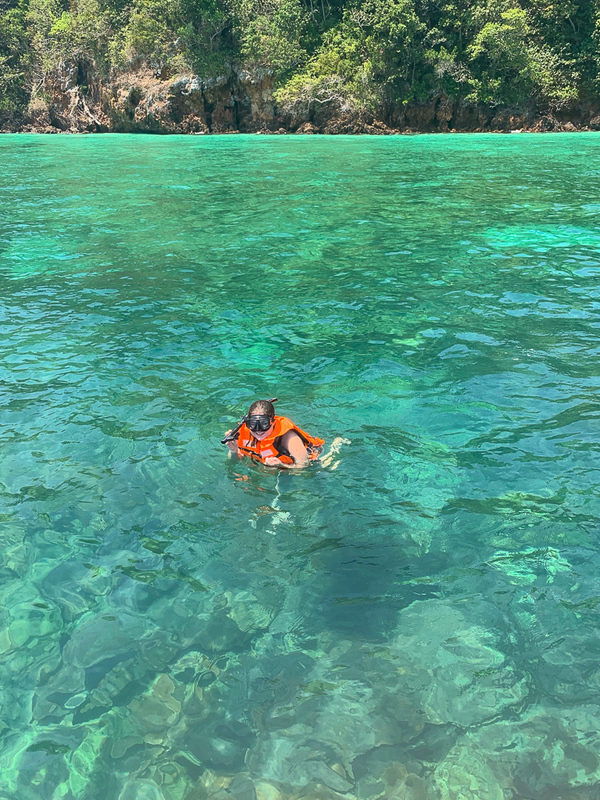 There is a speedboat from Phuket directly to Koh Lanta which is both expensive and risky as many people report feeling nauseous. It’s a bumpy ride for 1.5 hours! We opted for the more sensible approach. 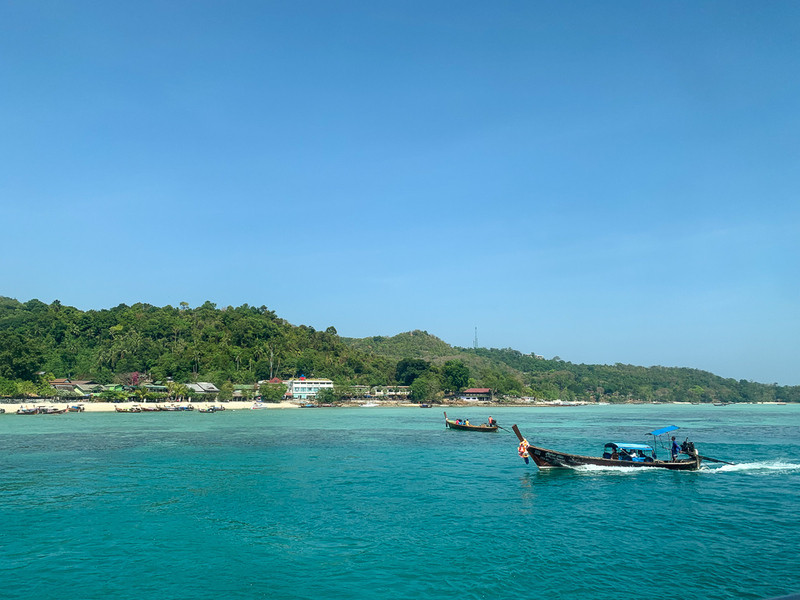 First, you take a 2-hour ferry to Koh Phi Phi and then take another ferry (this time 1.5 hours) from Koh Phi Phi to Koh Lanta. Depending on what time you take the first ferry, you may have a waiting period on Koh Phi Phi. The pier has plenty of restaurants and bars to wait around at. As for ferry tickets, you can buy them in the baggage claim area at Phuket airport. Tickets tend to be cheaper than at the pier. 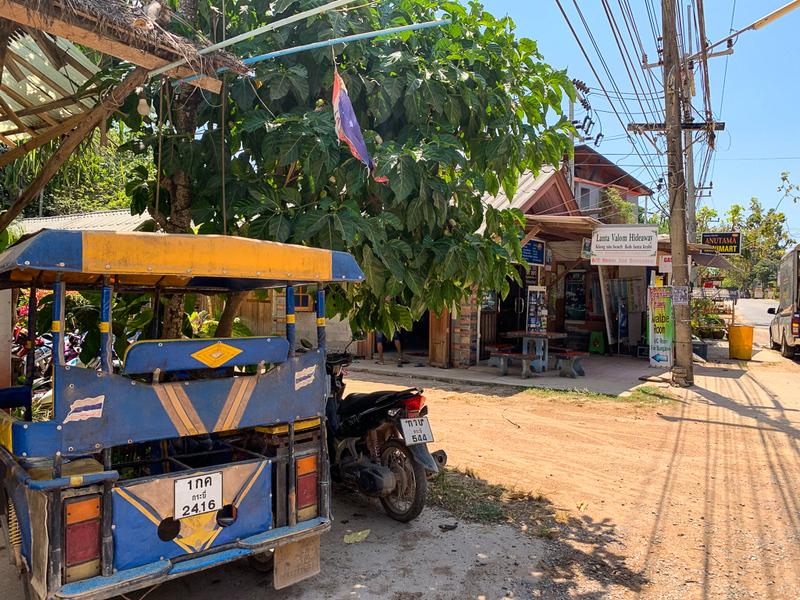 I would only buy one way as your hostel/hotel/resort in Koh Lanta may be able to offer you a taxi+ferry ticket+taxi deal for the way back. Once you’re at the Koh Lanta pier, you’ll need to take a taxi to your accommodation. Ours was arranged on the boast as there are people selling taxi rides. As I said earlier, Koh Lanta has a little bit of everything. There are very affordable hostel which offer private or 6-person rooms. There are resorts both on the beach or just across the street. Some resorts may even have a private beach. Most resorts by the beach, if not all, have chairs and umbrellas on the beachfront. 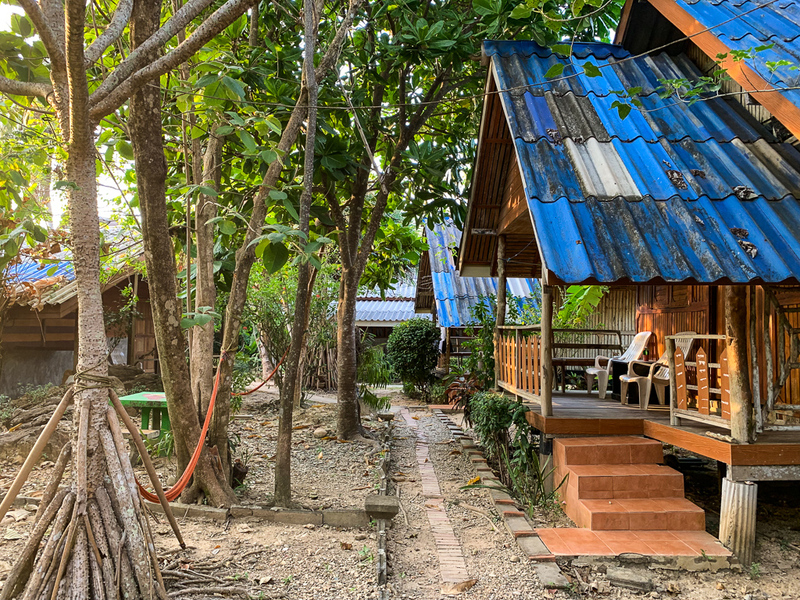 We stayed in a bungalow at Lanta Valom Hideaway, located just 2 minutes from the beach. We opted for AC, but they also have larger, more traditional bungalows with fans. In terms of location, the beaches are only located along the west coast of the island. The east coast if forested with no sandy beaches (not even rocky ones). The pier is at the very northwest of the island as as you go south along the coast there are several beaches. At the south end if the National Park. 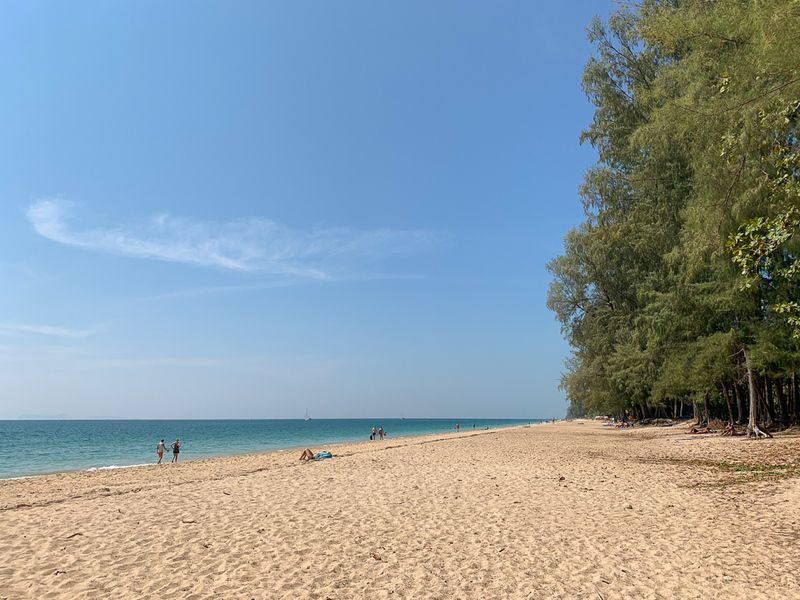 As a perfect in-between, we opted to stay along Klong Nin beach. The beach is empty, yet there are tons of restaurants and bars on the beach. 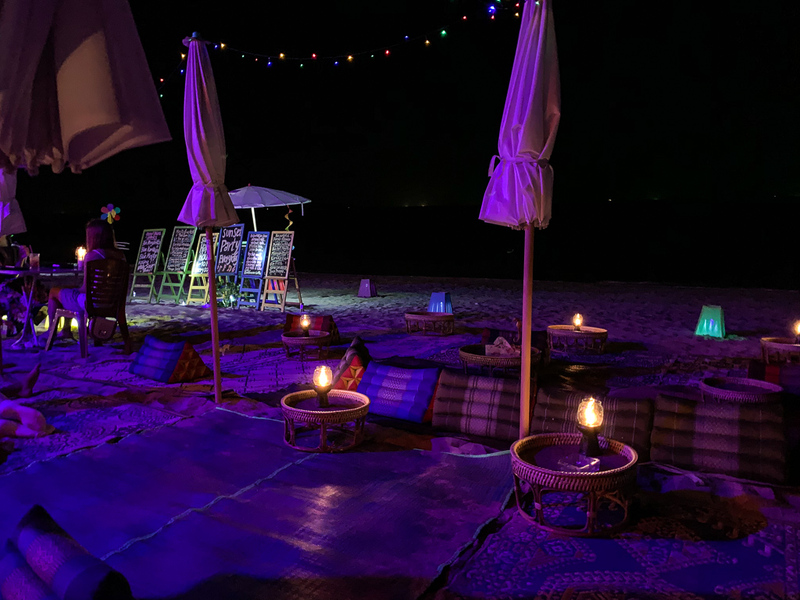 Eating sir-fried noodles while your feet are in the sand is the definition of luxury in my mind. Most people stay along Long Beach/Prae Ae as it’s much more developed and closer to the pier. I would pick Klong Nin or Khlong Kong as it’s a good in between. Motorcycles are your best bet as the island is huge. There are no buses or cheap taxis. Taxis come in the form of either ‘tuk-tuks’ (which are actually run-down versions of the ones found on the mainland) or songthaews. They charge per person which makes them quite expensive. For example, to get from Klong Nin to the pier it costs 200 baht per person. For us, it was 400 baht which for the distance should have really only cost 150-200 baht total. But, if renting a motorcycle is not an option, taxis are easy to find and you can ask the driver for their phone number to call to pick you up later. You can also walk into any establishment and ask them to call a taxi for you. This is a good back-up option if you can’t locate one on the street. Plus, you’re probably helping out a friend of theirs. 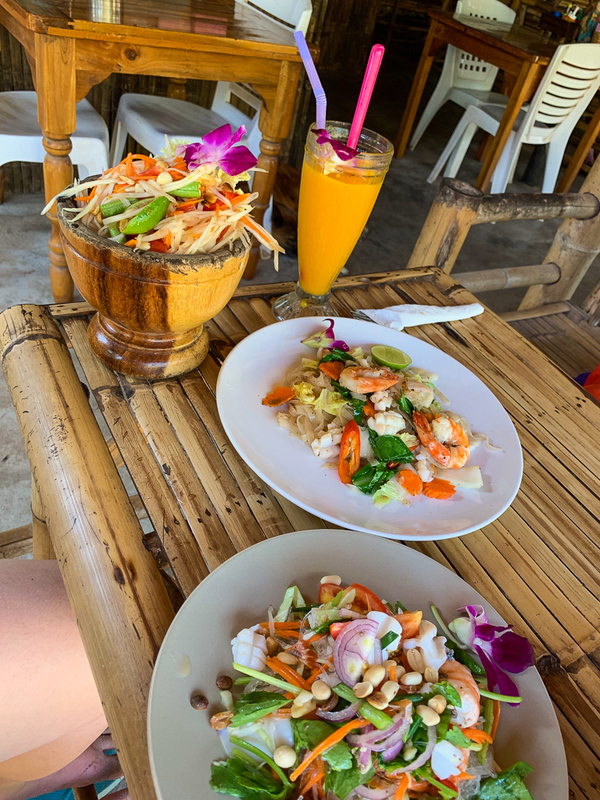 It’s difficult to find local Thai food that is actually delicious on Koh Lanta. However, most of the restaurants are just fine and offer both extensive Thai and European menus. 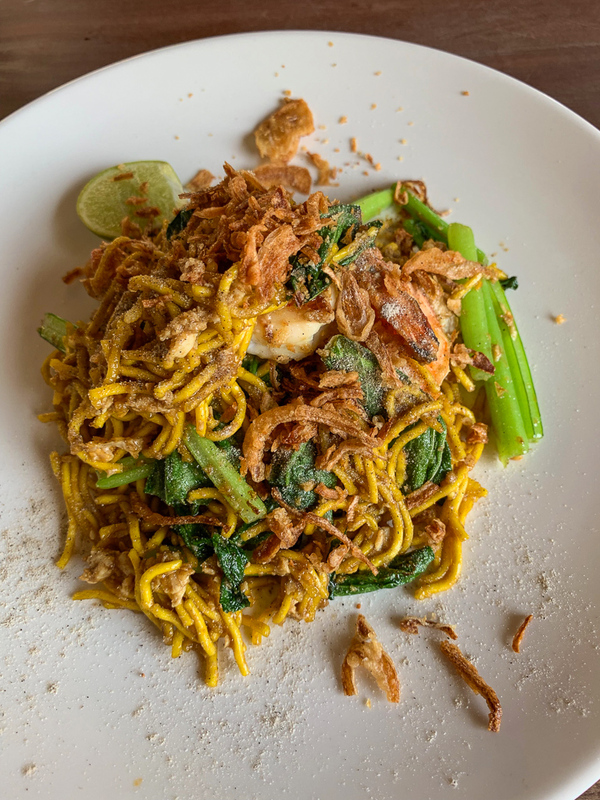 My advice is to stick to simple Thai dishes like fried noodles or fried rice. Always east what the chef knows how to take. 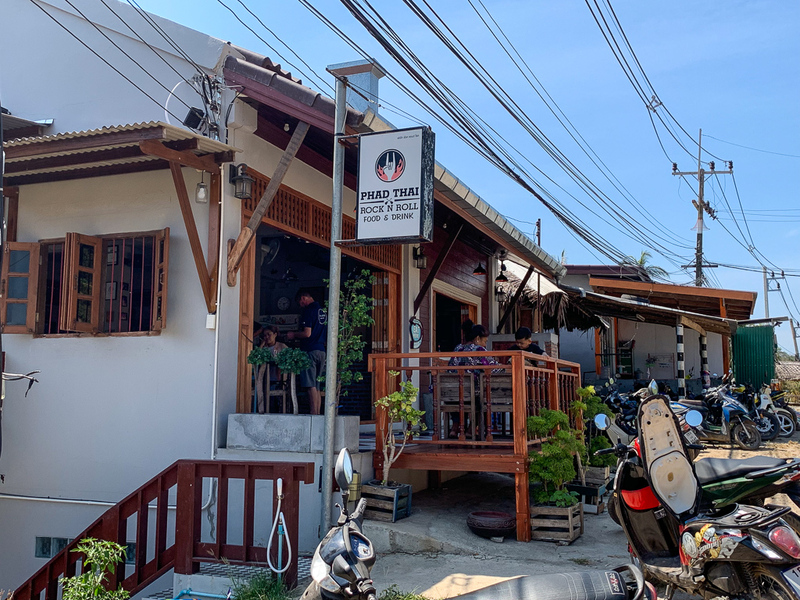 Likewise, there is a delicious French place called Shanti Shanti in Klong Nin that is run by a Frenchman who has been living on the island for 10 years. The croissants are amazing (I kid you not) as are the crepes and bread. The coffee is good too. We went here for breakfast everyday because it was simply perfect. 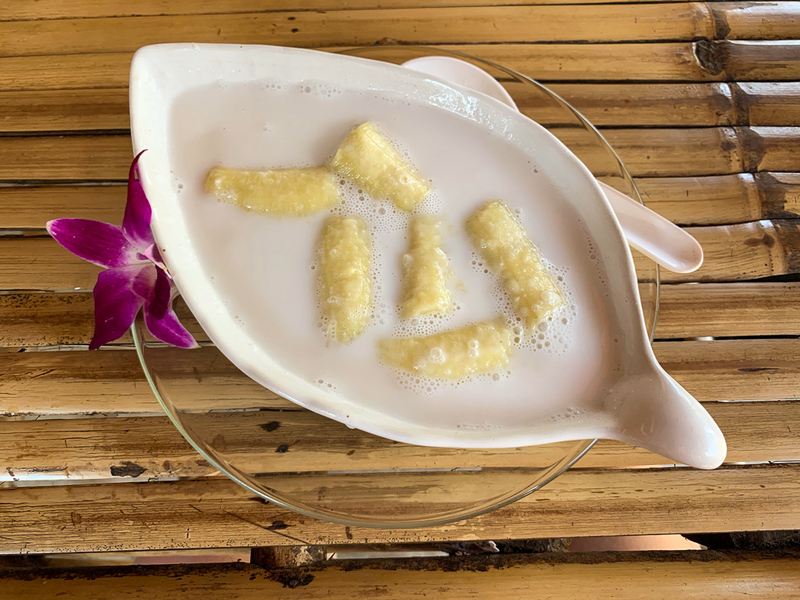 Out of all the restaurants we tried in Klong Nin, I thought the best of the bunch was Jai-Dee. Others says Blue Moon but I didn’t have the best experience. However, the location on the beach is spectacular. They have a great set-up — lots of comfy seats, mood lighting, and chill music. However, when it comes to Long Beach, I take back everything I said negatively about food on the island. 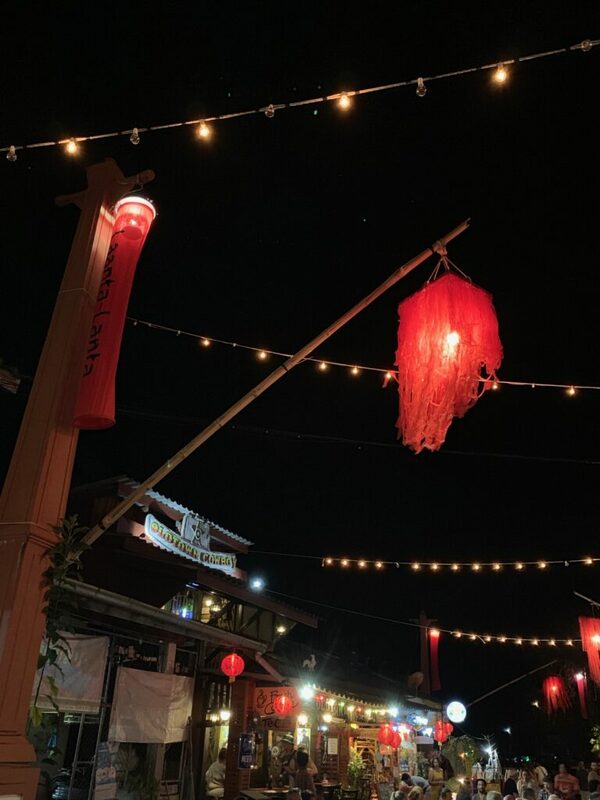 In Long Beach there is a phenomenal Thai restaurant: May’s Kitchen. I can’t recommend this place enough. 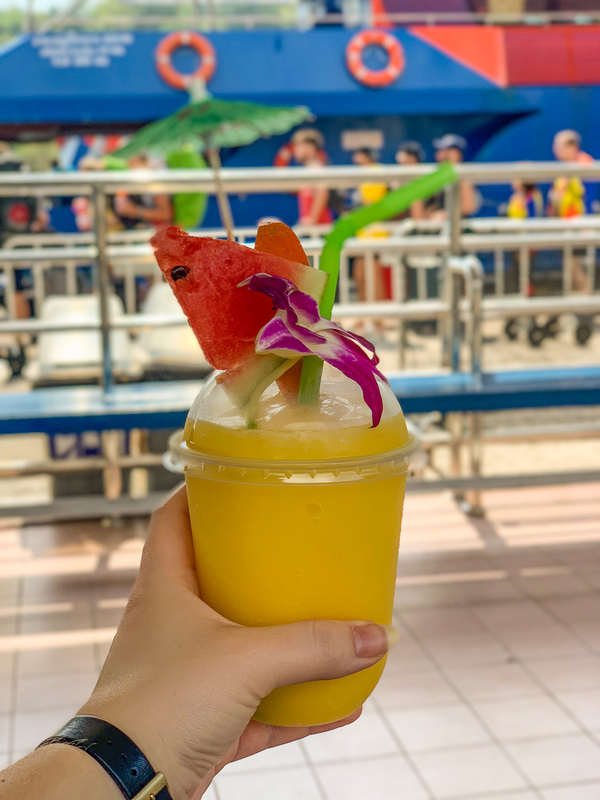 It’s authentic, refreshing, and just soooo delicious! I would’ve come back here time and time again had I known about it earlier on in the trip. In Kantiang Bay, further south, I can recommend the famous Phad Thai Rock n Roll. 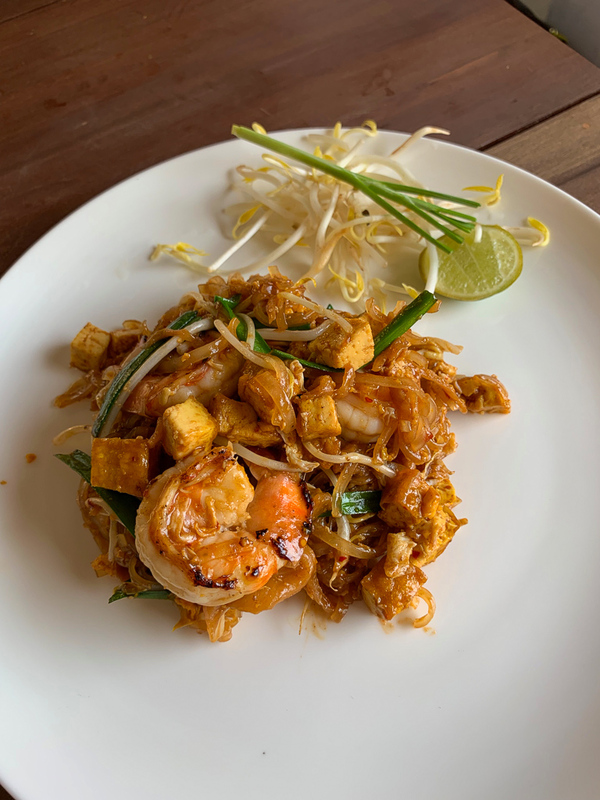 We had Pad Thai and Pad See Ew — both solid, comforting dishes. Now, for the good stuff! 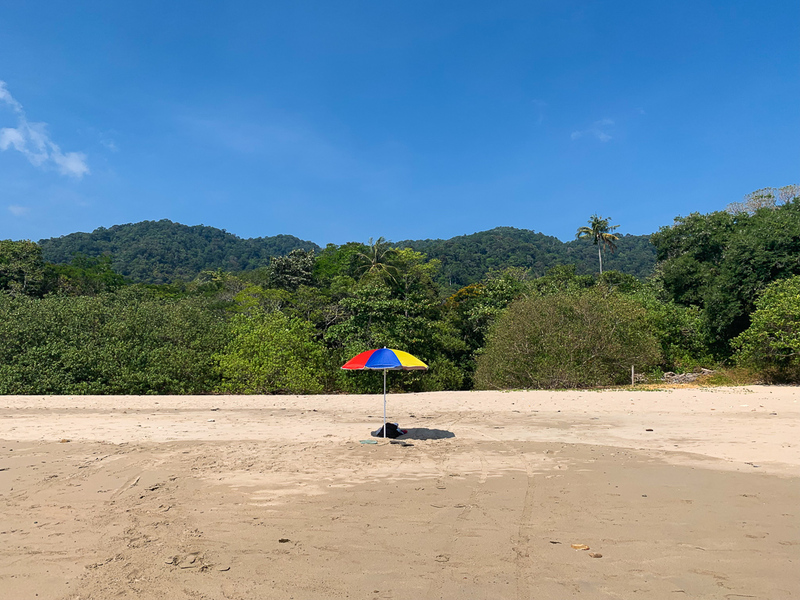 My favourite beach was actually our very own — Klong Nin. The sand is very soft and the water is crystal clear. It is also very easy to find a spot where you can be completely by yourself. 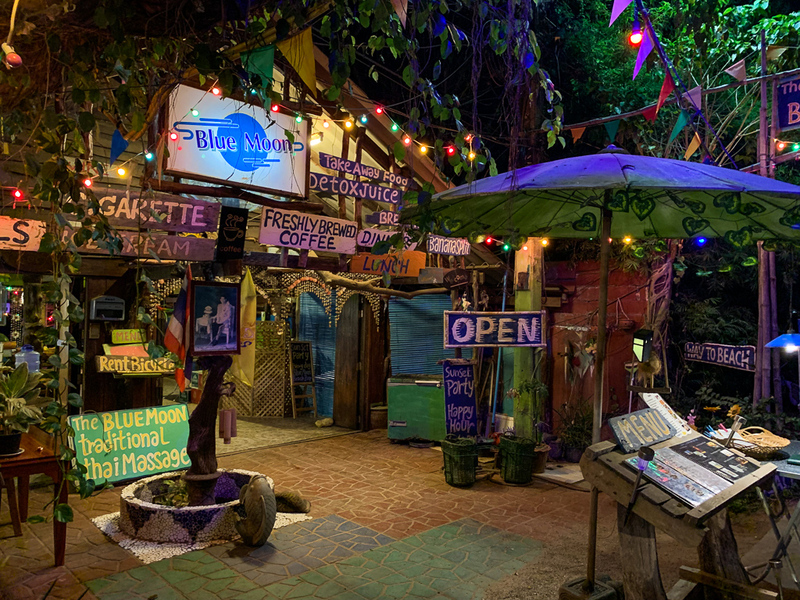 And, like I mentioned, the bars and restaurants on the beach are unique to this area. 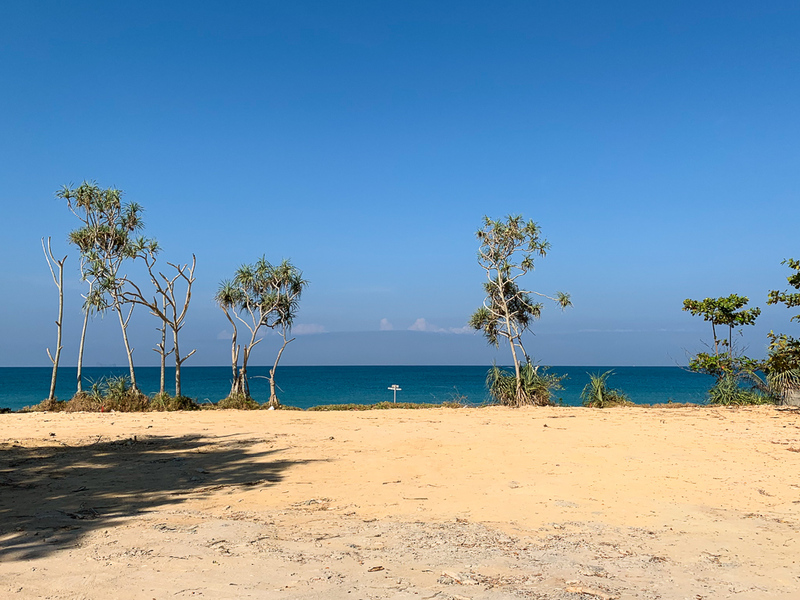 Kantiang Bay is pretty because, well, it’s a bay so the curve of the shoreline gives you a great view. We went to this beach after lunch and we were almost the only ones there! It has one, cute beach bar, but even with a bar we really had the place to ourselves. Long Beach is not as pretty as other beaches on the island, but it has a significant number of advantages. 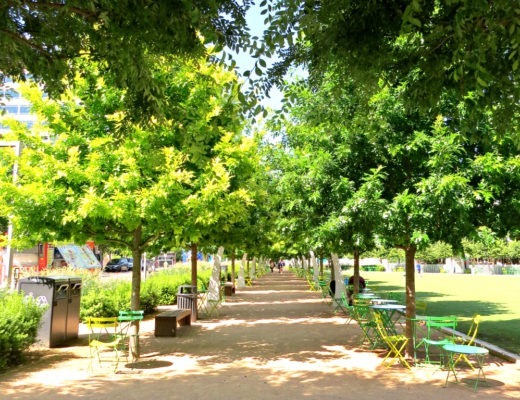 It has natural shade because of the pine trees dotting behind the sand. As the name suggests, the beach is very long so there are bars sprinkled along the entire way. 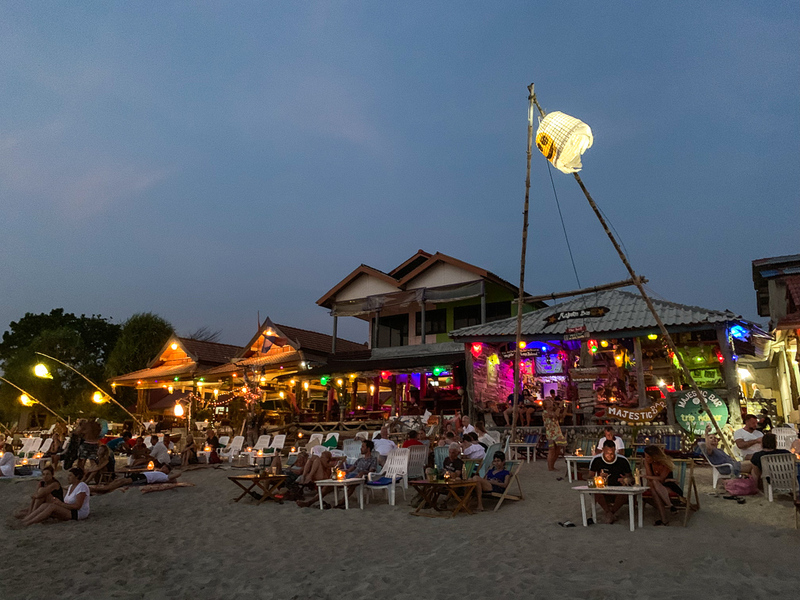 But, our favourite is one of those typical beach bars. 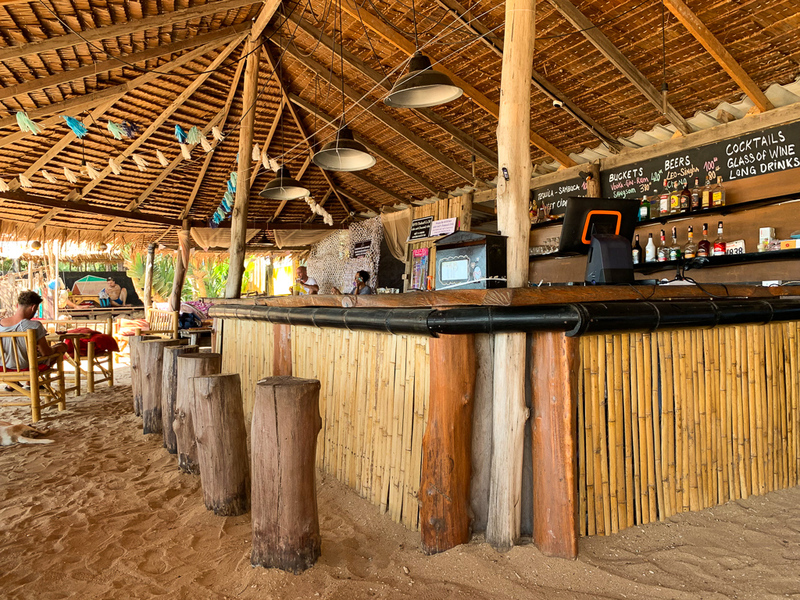 Pangea Beach Bar has everything you could ask for: stunning views, lots of shade, ice cold beer, and great music. Part of the island experience is actually discovering other islands around you. The most popular day excursion from Koh Lanta is called the ‘4-island tour’. There are several companies offering variations of this. We chose Freedom Adventures for several reasons: they have a large boat, the limit is 16 people, and it is a small company. Our group total of the day was just 8 people in the end, which was absolutely great. The staff onboard were also very friendly. 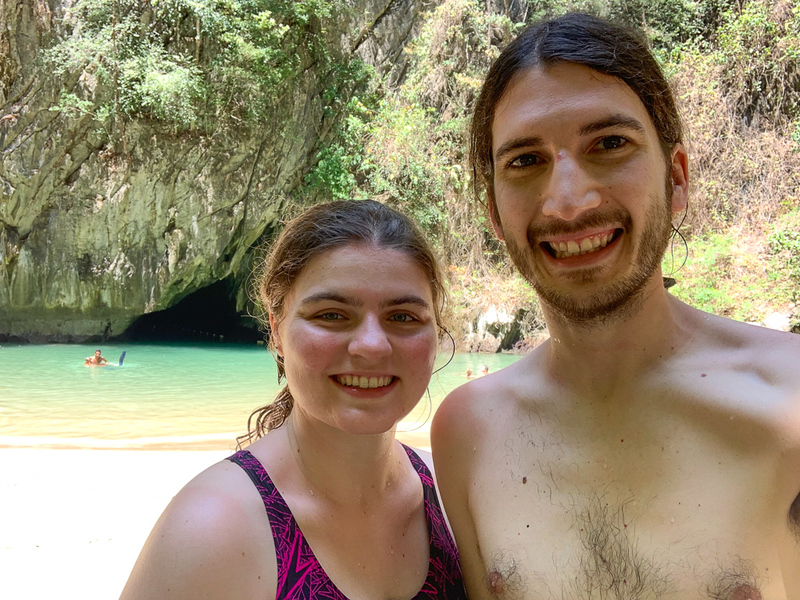 Our first stop was Koh Ngai, where we snorkeled for an hour or so. 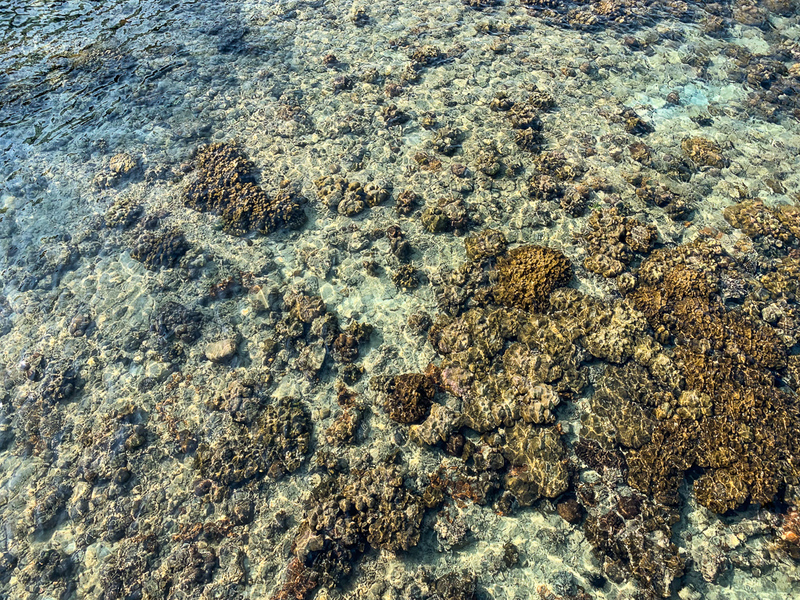 There is something so magical about snorkeling — it’s a thrill for me every time I duck my head below the water and all a sudden hear just the water moving. 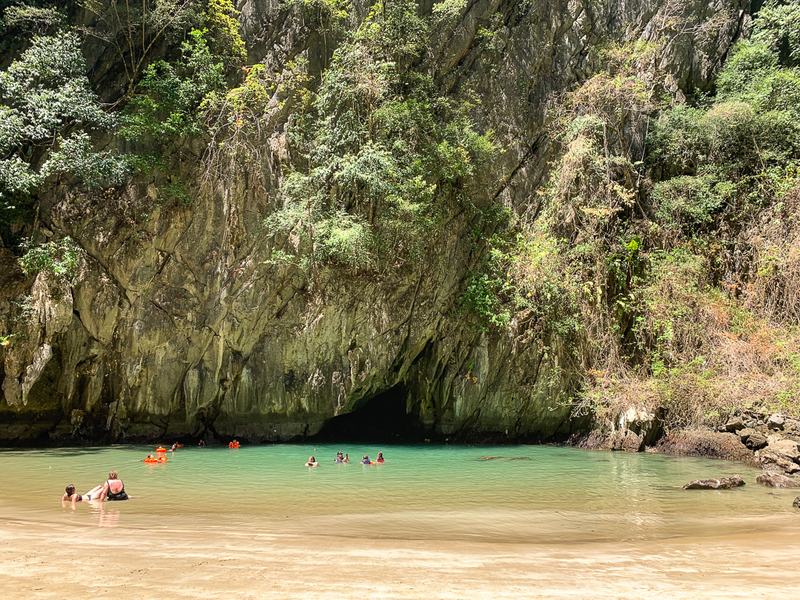 We traveled by boat for quite some time before reaching Koh Muk, famous for its stunning water caves. We put on life vests and swam from our boat to the entrance of the Emerald Cave. One of our guides led us along with a flashlight as we entered the cave. It is basically a short tunnel, with the middle being pitch black (hence the need for a flashlight). The other side reveals a beautiful lagoon and beach, clearly only accessible via this cave tunnel. 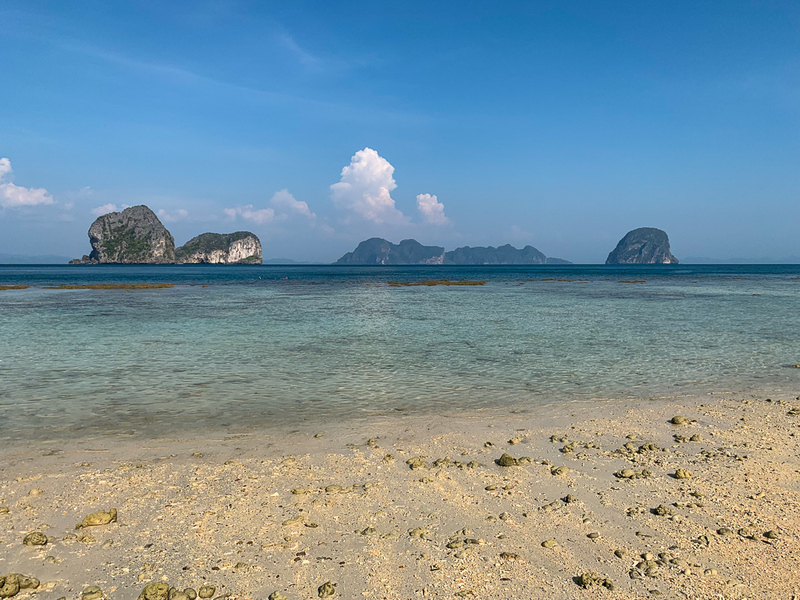 Our third and final stop was a lovely beach back on Koh Ngai. Low tide hit, which at first was a disappointment as this cut into our snorkeling time, but then we realised we didn’t need to snorkel. 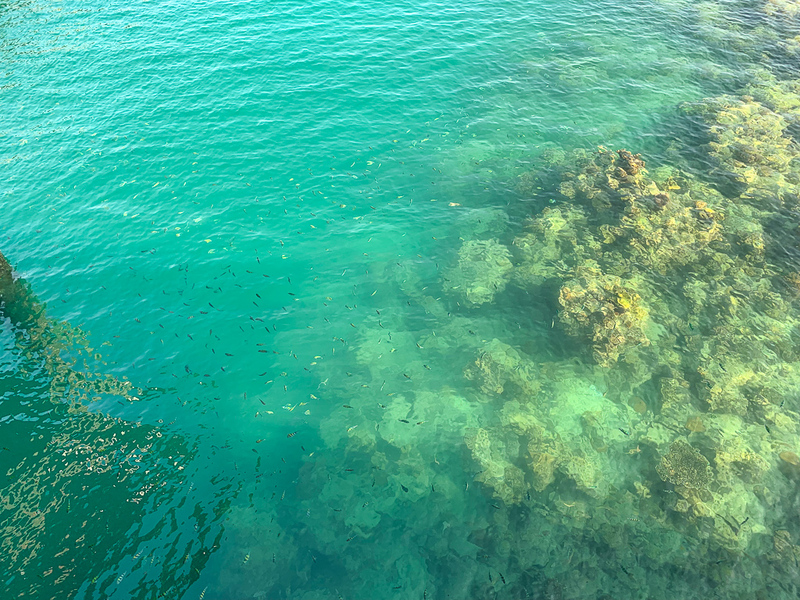 You could see all the sealife just by looking from above! We even saw Nemo! 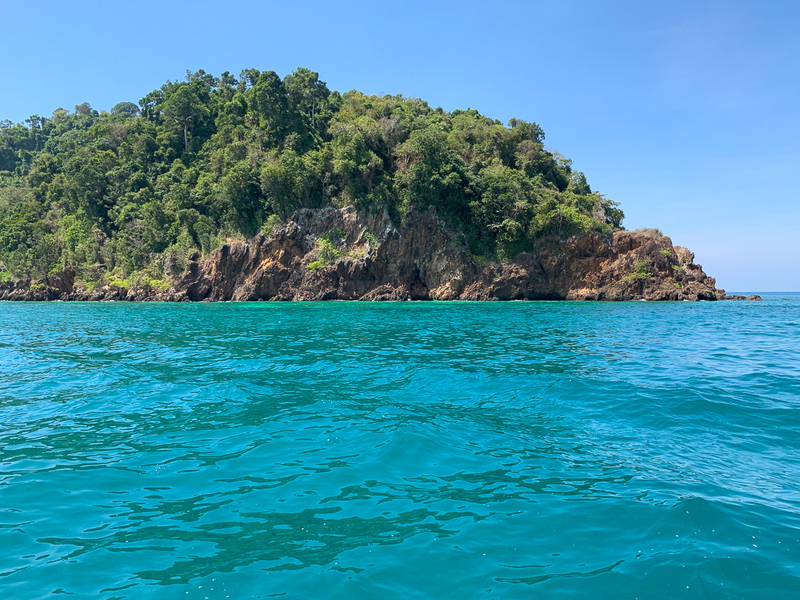 There’s a reason Koh Lanta is known as the island with a million eyes: there are so many little islands in this area! There are tons more excursions to individual islands, which if you have time I don’t see why you wouldn’t go check them out. 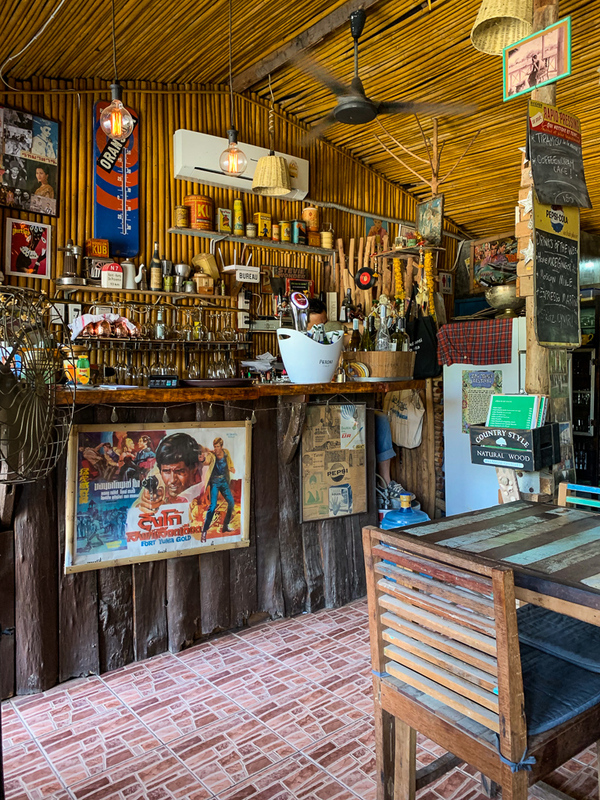 Another excursion you can take is to Koh Lanta’s Old Town on the east coast. The east coast has no beaches, however the Old Town is a great place to explore instead. 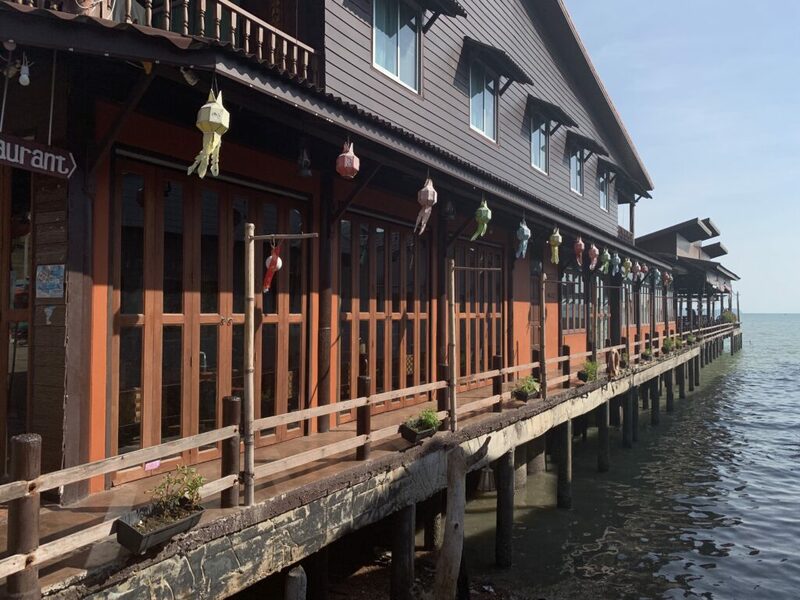 It has a lot of charm as it is still full of traditional Thai wooden houses. You’ll immediately see some Chinese influences as this port used to be a Chinese one. 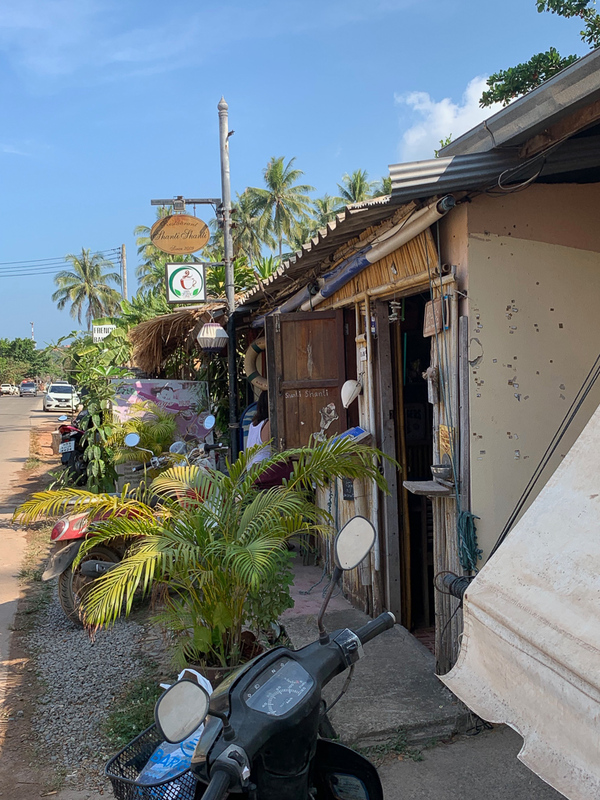 We happened to visit the Old Town twice: once before our snorkeling tour and the other time for the Koh Lanta Festival. The Festival is held once a year and is said to be one of the largest festivities on the island. It’s also interesting to see because you can tell it’s a locals kind of festivity. And so, after having a long, delicious breakfast at Shanti Shanti one last time, Victor and I hopped in a songthaew to the pier. Saying goodbye to vacation is always bittersweet. Sometimes, you’re ready to go home, but then other times you just wish you had a couple more days. 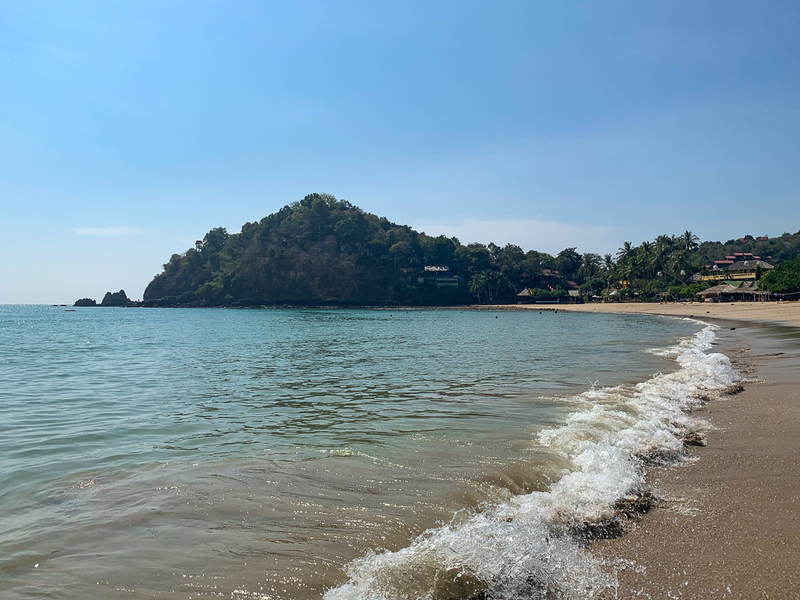 Koh Lanta treated us so well, and I hope it will treat you well too! This is the total cost of spending 5 days and 5 nights in Koh Lanta — that is just £50 a day! Stay tuned for more Thailand coverage including Bangkok, Chiang Mai, and more!